Another Wisconsin sport great was Carl Schriner I believe. Great football running back for the Badgers killed at Okinawa. @westharrier I have seen a few articles about the 1915 meet, and apparently the course was muddy, and Head fell at one point. I don’t know how much that played into the time. After all, it was 1915. Riverside was one of the top teams in the country, and I’m not sure anyone was tearing it up back then. I agree with you about the caps! I told Mrs. Favre that when I hit 50, I am going to start wearing the flat cap and tweed jackets! Prior to the names Dalton, Knier, Uhrich and Croy there was another state elite patrolling the Manitowoc Harbor from the class of 1937. Though he wasn’t the first distance great for the Lincoln High Shipbuilders (est. 1923) – the class of 1931 produced 4:38 mile champ Orville O’Neill who also won the 1929 and 1930 cross country titles – Ely Francis remains as one of the most fascinating to ever wear the uniform. 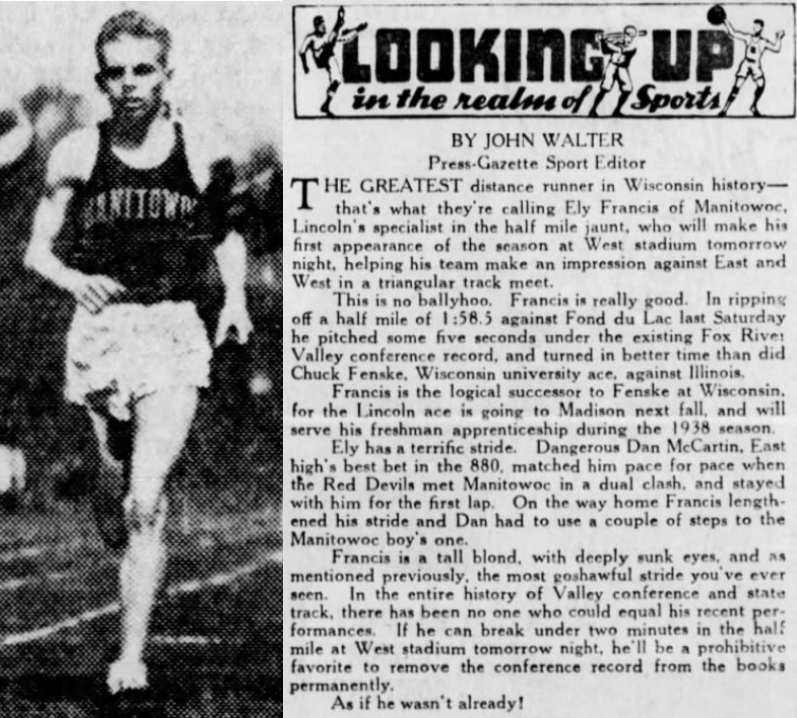 In the early weeks of May in 1937 Francis made waves across the state producing times of 1:57.7y and 4:27.9y while earning the title GREATEST distance runner in Wisconsin history. And no, his efforts were definitely no ballyhoo [sic]. 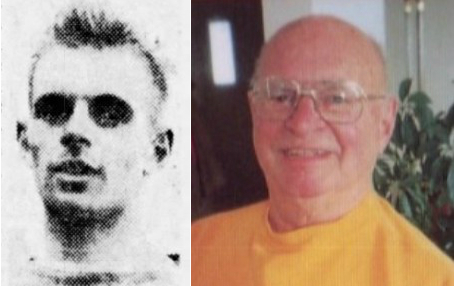 Having established similar feats of 1934 Wauwatosa all-time greats Ernie Bastian and Walter Mehl (1939 NCAA champ) in one magic week of 1937 I have coined this schoolboy as the Flying Shipman. 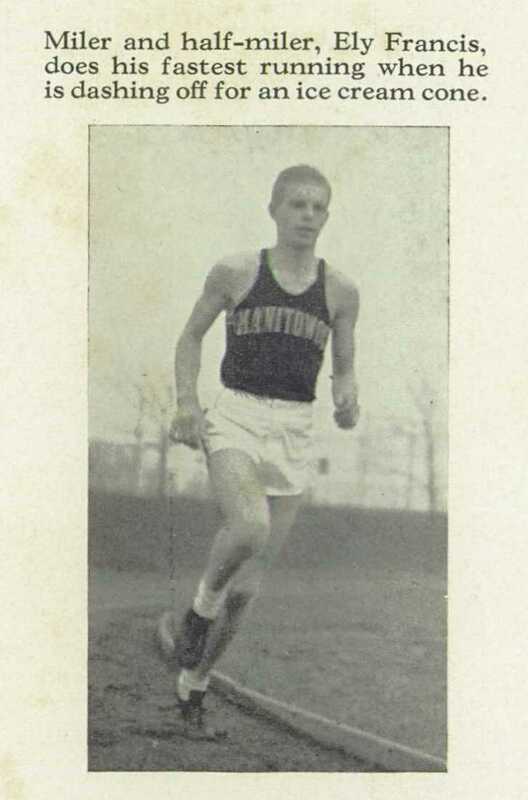 While part of his legacy includes being the national prep leader in the 880 (1:58.5) and the Wisconsin state mile champ of 1937 he also served in the Armed Air Forces during the WWII years. The article above suggests that Ely Francis initially spent time in Madison first, however, his obituary from 2010 mentions he earned a full scholarship to Marquette University. 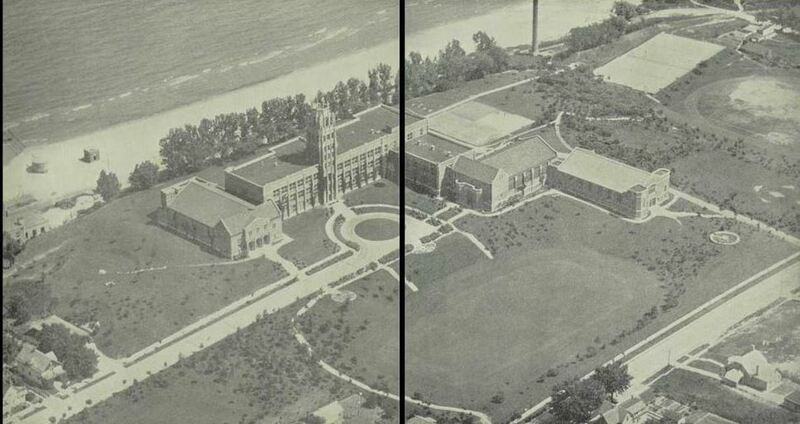 Manitowoc High School in the 1930’s. What a setting and building. 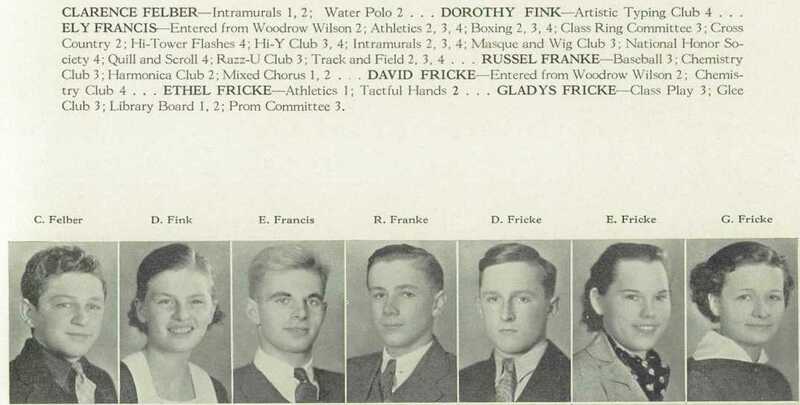 Francis participated in cross country only his sophomore year because Manitowoc discontinued cross country after that season. I don’t know when it came back. Below is s photo of the 1967 Madison City Champions who dethroned Madison West and broke their run of 12 straight City titles. 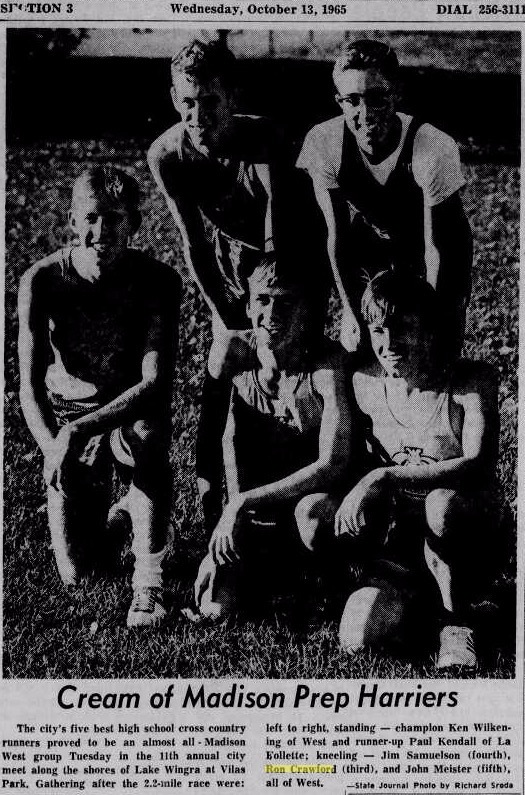 Pictured is HOF member Dan Cautley(front second from right as a sophomore) and another runner Ron Crawford(front row far left next to Cautley) who should be a HOF runner. Interesting enough Crawford was a sophomore varsity member of West’s team before Madison Memorial was built and when the new boundaries were decided Crawford along with other West runners suddenly formed the nucleus for the Memorial team that went on to win state. Possibly one of the toughest things a coach would have to see is guys he helped develop come back to beat him. Below are the 65 Madison West City Champs showing Crawford finishing 3rd in the City Championships. Madison Memorial did not exist at this time. 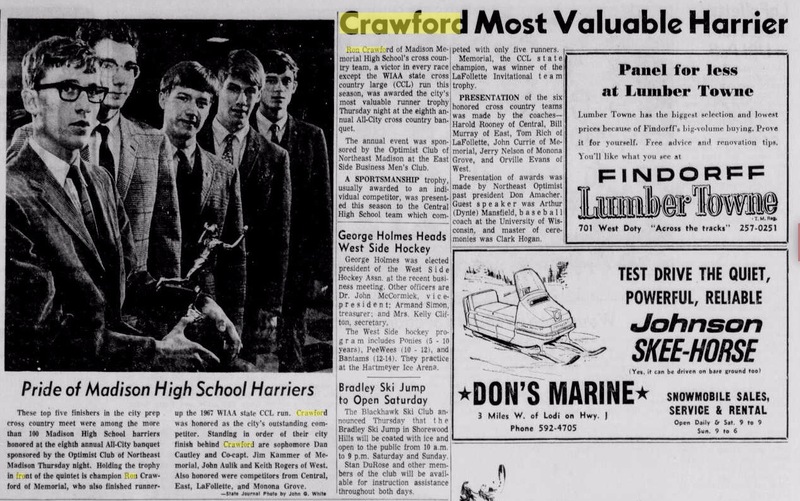 Had Crawford stayed at West the 67 Championship score would have been far closer as he won the event that year and been another low stick for the Regents. Not sure how many other Memorial runners were tutored formerly by Jake Evans the West coach but there had to be a few. 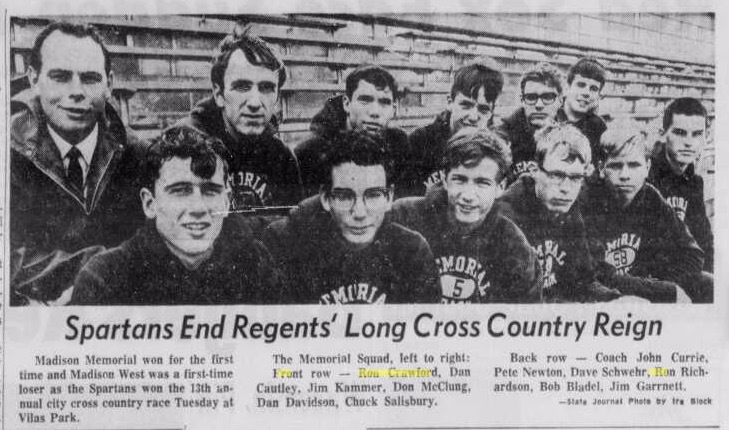 Pete Newton is also shown running for the Regents in 65 as a top 3 city JV runner. 66 Sectional Results Including Madison West in D1 and Madison Memorial in D2 with Crawford finishing second as Memorial’s top runner. Here are the top five runners at the 67 Madison City Meet- Crawford went on to place second in the State meet and lead Memorial to the D1 title. With Crawford West goes 1-4-5 and makes the race much more interesting. Tom Bennet coached track for the Badger with Rut Walter back in the 60’s. Great athlete and fine coach. I wonder if Meister is all that common of a last name in Madison? If John is a younger cousin or sibling to the father of Rick that would have made 1:52/4:08/9:05 Tom Meister a third generation athlete.